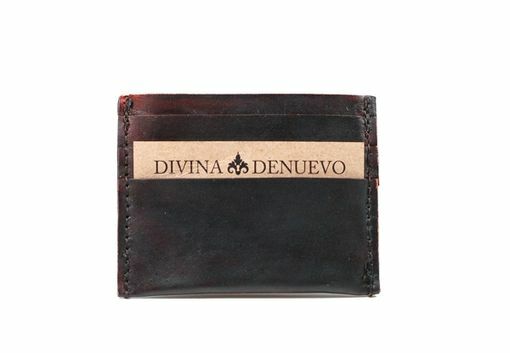 Divina Denuevo's Super Slim Credit Card Wallet is designed for the true wallet minimalist. 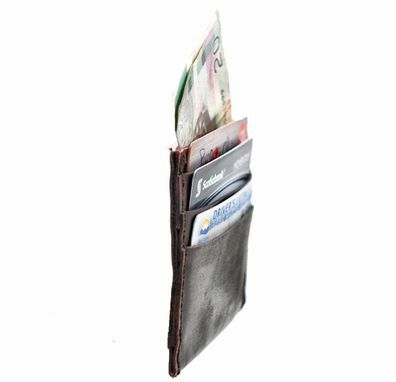 With 3 card slots and a large pocket for cash, this skinny wallet will carry just your necessities. Unlike similar designs you can purchase at department stores, this wallet is made with strong and durable vegetable tanned leather that won't wear through and turn flimsy as time passes. 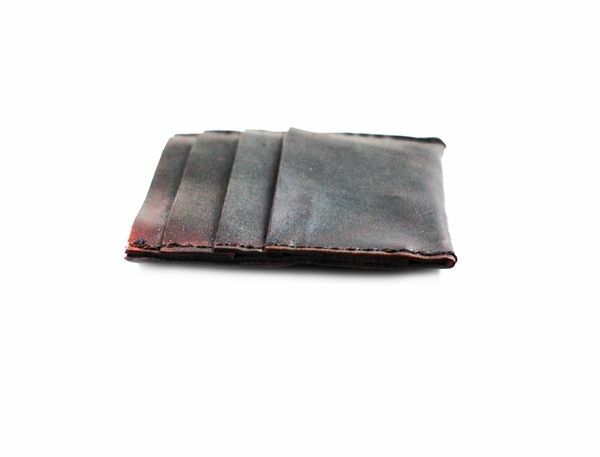 This wallet is made with vegetable tanned leather and hand-dyed with eco-friendly, plant-based dyes. 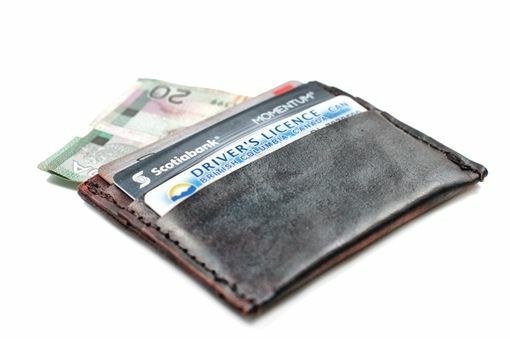 It's sewn with industrial-grade nylon thread and will develop a great patina without wearing thin and flimsy. 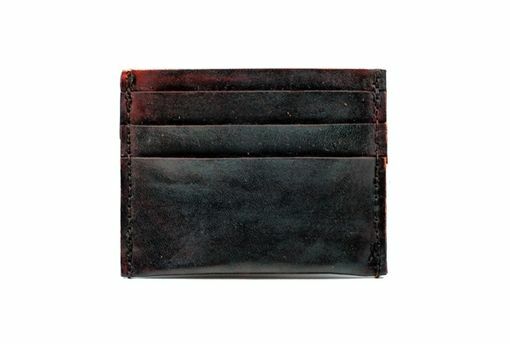 IMPORTANT NOTES: Made to order, please allow up to 2 weeks for creation prior to shipping. 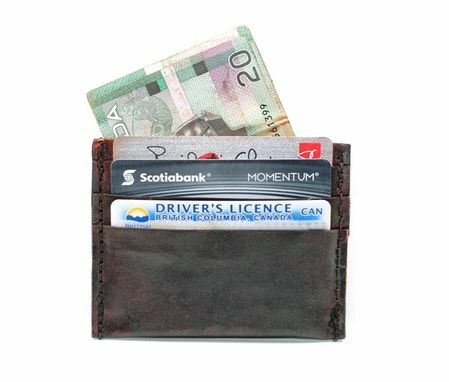 For rush orders, please contact us before placing your order to confirm- a rush order surcharge may apply. 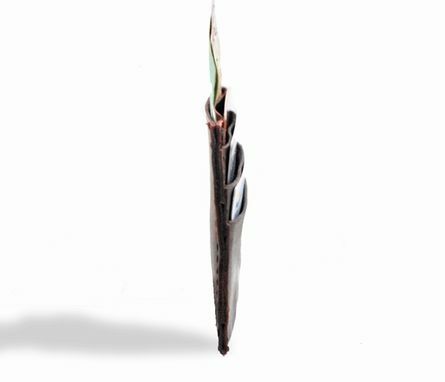 Colours can vary from monitor to monitor and can also vary from hide to hide, please see our leather swatches page for a better idea of the leather colours and textures that are available.